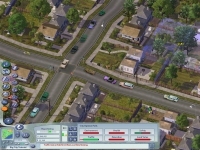 SimCity 4 Deluxe - Unterstützte Software - PlayOnLinux - Run your Windows applications on Linux easily! 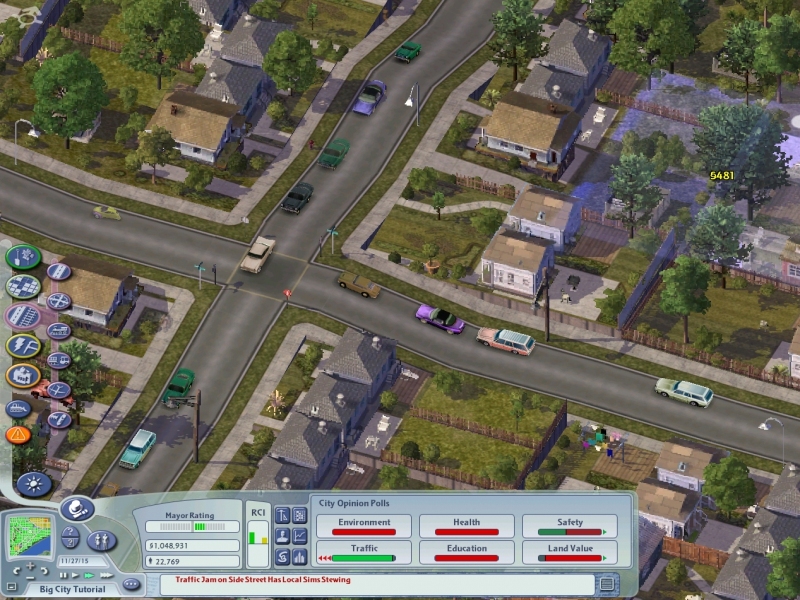 "In SimCity™ 4, you don’t just build your city; you breathe life into it. Sculpt mountains, dig riverbeds, and seed forests as you lay the groundwork for your creation. Then, use your god-like powers to construct the most realistic metropolis you can imagine." POL_SetupWindow_browse "$(eval_gettext 'Please select the setup file for $TITLE')" "$TITLE"
POL_SetupWindow_message "$(eval_gettext 'NOTICE: After Steam installs, uncheck "Run Steam" so that it does not start.')" "$TITLE"
POL_SetupWindow_message "$(eval_gettext 'NOTICE: SimCity 4 needs a no-cd crack if you are installing from a CD or DVD. We do not support cracks, and cannot help if it does not work.')" "$TITLE"
POL_SetupWindow_message "$(eval_gettext 'NOTICE: If you notice an error, but Steam and $TITLE are running, it can be ignored.')" "$TITLE"
Search for SC4 Luncher if you have this issue Install it trough PlayOnLinux and it will fix all the issues such as changing resolutions and such. I am going to take over as maintainer for this script (it just has not had any updates for a very long time.). Here is a complete script re-write with Steam support. It is testing fine with Steam, but I do not have the physical discs to test with. This game still will need a no-cd crack for the disc version, but I have added a warning in here about that. -POL_SetupWindow_presentation "SimCity 4 Deluxe" "EA Games - Maxis" "http://www.electronicarts.com" "Toumeno" "simcity4deluxe"
-LNG_SC4_WAIT="Patientez pendant la préparation de l'installation"
-LNG_SC4_CD2="Veuillez insérer le CD2 et cliquer sur Suivant"
-LNG_SC4_CRACK="Vous aurez besoin d'un crack no cd pour lancer SimCity 4.\nVous devez posséder le jeu original.\nPlayOnLinux ne vous fournira aucune aide pour les cracks no cd.\nPlayOnLinux n'est pas reponsable de l'utilisation que vous faites du logiciel." 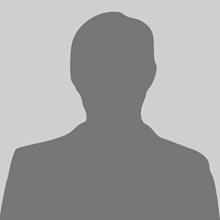 -LNG_SC4_CD1="Veuillez insérer le CD 1 et cliquer sur Suivant"
-LNG_SC4_RUN="Si le jeu ne se lance pas correctement appuyez sur Echap." +    POL_SetupWindow_browse "$(eval_gettext 'Please select the setup file for $TITLE')" "$TITLE"
-LNG_SC4_WAIT="Please wait during the installation's preparation"
-LNG_SC4_CD2="Please insert the CD2 and click on Next"
-LNG_SC4_CRACK="You will need a no cd crack to run SimCity 4.\nYou must own the original game.\nPlayOnLinux will not give you any help about no cd cracks.\nPlayOnLinux is not responsible of the use of the software." -LNG_SC4_CD1="Please insert the CD 1 and click on Next"
-LNG_SC4_RUN="If the game does not run correctly, press Esc (Echap)." +POL_SetupWindow_message "$(eval_gettext 'NOTICE: After Steam installs, uncheck "Run Steam" so that it does not start.')" "$TITLE"
+    POL_SetupWindow_message "$(eval_gettext 'NOTICE: SimCity 4 needs a no-cd crack if you are installing from a CD or DVD. We do not support cracks, and cannot help if it does not work.')" "$TITLE"
+    POL_SetupWindow_message "$(eval_gettext 'NOTICE: If you notice an error, but Steam and $TITLE are running, it can be ignored.')" "$TITLE"
-POL_SetupWindow_wait_next_signal "$LNG_SC4_WAIT" "SimCity 4 Deluxe"
-POL_SetupWindow_wait_next_signal "Installing... / Installation en cours" "SimCity 4 Deluxe"
-POL_SetupWindow_make_shortcut "simcity4deluxe" "Program Files/Maxis/SimCity 4 Deluxe/Apps/" "SimCity 4.exe" "simcity4.xpm" "SimCity 4 Deluxe"
-Set_WineVersion_Assign "1.1.0" "SimCity 4 Deluxe"
Thanks. It REALLY needed it. lol. No matter how old I get or the games get, the SimCity series will always have a special place with me. haha. 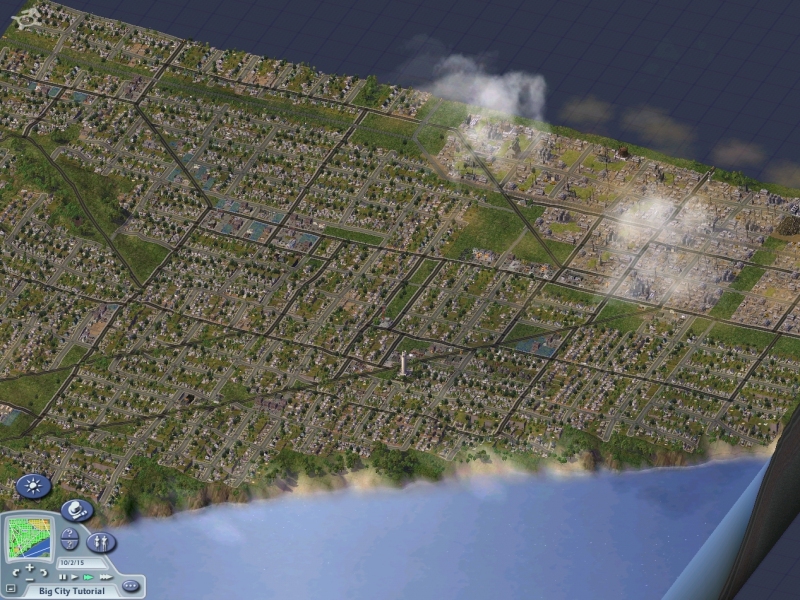 I have had Simcity 4 for years. Cool game. I like it a lot. To bad they tried to murder the franchise with that incredibly stupid (my opinion) new version that required the player to be online all the time. I forgot to mention that I have the Origin version so this script will not work for me. Its great to see old scripts being worked on. Most of my games are on Steam but some are on Origin. I will try to add origin support, but I do not own it through Origin, so I don't know how I would test it. I will put a pin in that for the future, though. If we had a POL_Install_origin function, that would for sure make it easier. I may do that, but considering Origin is broken on a lot of Wine versions, that will make it difficult. That is just according to that particular thread. I have not looked further into it. Wine 1.7.35 works perfectly with Origin. It looks like the wine devs finally figured out how to get Origin to download properly. I agree. One of my favourites. When I try the installation script with PoL for Ubuntu Cosmic, and Wine 3.0.3-2 (through Cosmic Universe repo) the script fails soon after the messages from the script concerning the No-CD crack & Steam, with the message saying something like 'Cannot find SimCity 4.exe'. Can I get help debugging? oh sorry I wrote in french. How can I get updated script ? I guess someone should do it for me..? Well, it wouldn't just be for you, but for everyone that tries to use the script. lol. :) But yeah, someone will need to correct the script to work correctly with the new version of POL. I don't think I have this game, so I cannot do it. OK, i'll wait then..or I'll reinstall windows to play the game..
Whatever you want to do. You could always dual-boot, run in a virtual machine, or try a manual install (last I checked, this game doesn't need anything special to run. Try creating a virtual drive with the newest 32-bit version of Wine and see if it runs.). Actually, I just checked my Steam account, and I do have it. I will update the script in the next couple of days. I will report here when I fixed it. Give it a shot now and see if it works. You will probably need to copy the discs to a folder and install like that, and if that doesn't work then you will need to crack it, which we cannot help with. Rest assured, though, the virtual drive that this script creates WILL run SC4 just fine. Steam is the preferred method, since it works so well. I've managed to install the original version of SimCity 4 Deluxe using POL 4.2.2, patch it and update it to v.638 (using wine directly, not POL), but I cant launch the game. I've applied the nocd patch for my version of the game too, but launching through POL gives me the "can't find the cd" window. If I launch the game using just wine it works. I've also tried to change wine version in the simcity configuration under POL to system, but keeps crashing. I have also updated to POL 4.2.5, same problem. We do not support cracks. Use it how it is usable, but as far support for cracks, we cannot do anything for you. The Steam version works great, and and as stated in the installer, the CD version needs a crack. Copy the CDs to a folder on your drive with NO CRACKS, and point the installer there when it asks for the discs. If that does not work, we cannot help, as it involves piracy. Sorry.